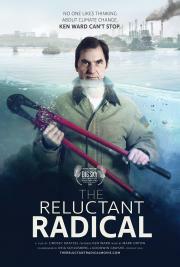 Join Ken Ward, filmmaker Lindsay Grayzel and members of Extinction Rebellion for a screening of The Reluctant Radical. A panel discussion on the movie, Extinction Rebellion’s new role in the environmental movement, and the future of nonviolent, mass-scaled civil disobedience in the global struggle against fossil fuels and climate change will follow. If a crime is committed in order to prevent a greater crime, is it forgiveable? Is it, in fact, necessary? GPAA Gold and Treasure Show @ Portland Expo Center | Experts, Vendors, Gear & More!